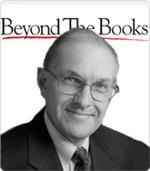 Fred Reichheld’s 2006 book The Ultimate Question asked “How likely is it that you would recommend this company to a friend or colleague?”, thereby challenging the conventional wisdom of customer satisfaction programs. Authors Richard Owen and Laura Brooks are co-developers — along with Reichheld — of the Net Promoter methodology behind answering this question. In this book, Owen and Brooks tell how to actually embed Net Promoter discipline in organizations of all types. 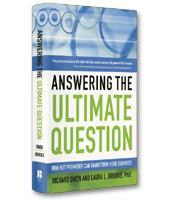 In 2006, author Fred Reichheld published the best-selling book The Ultimate Question. For those who missed it, the titular question was, “How likely is it that you would recommend this company to a friend or colleague?” The question raised doubts about the conventional thinking about customer satisfaction programs. Reichheld coined the terms “bad profits” and “good profits,” and he pointed to a faster, more accurate way of measuring customers’ loyalty to a company. It was called the Net Promoter Score, and it enabled Reichheld and CEOs to measure customer loyalty and satisfaction. Move forward three years to 2009, and we have the book Answering the Ultimate Question by Richard Owen and Dr. Laura Brooks, whose book takes the Net Promoter beyond a measurement system to an operational model. The authors offer practical, how-to instruction on what companies need to do to improve the customer experience and increase loyalty. In their book, Owen and Brooks offer a variety of real case studies to show how to actually embed the Net Promoter discipline in organizations of all types. The authors explain, “Net Promoter is more than a metric — it is a discipline by which companies profitably grow by focusing on their customers.” At the same time, the authors found that many organizations achieved mixed results with the Net Promoter programs they established. Consequently, the authors sat down and wrote a how-to manual for Net Promoter success. The book begins with a description of Net Promoter conceptualization and moves on to Net Promoter actualization. Along the way, the authors describe the elements that make up a successful Net Promoter program and share the experiences of a number of companies that have made Net Promoter an integral part of organizational processes. The companies studied include Apple, LEGO, Virgin Media, GE, IBM, Intuit, Dell, Brady Corp., eBay and Ascension Health. As you can see, the authors’ case studies are extremely diverse, from large to small companies, from U.S.-based to European businesses. It becomes evident how customer loyalty can be tied to corporate growth and profitability. It does this because customer loyalty not only is the right thing to do but also the best way for a business to increase retention and growth. The Net Promoter Operating Model has six elements, each critical to creation of a customer-centric culture or DNA. Programs don’t succeed without the right sponsorship from the top of the organization, although the study by the authors suggests that many companies try to run the program without executive sponsorship. In that case, the programs lack the financial investments, human resources and focus on customers that is needed to make big changes. Beyond the senior leadership, say the authors, you must get the rest of the organization aligned behind the program. This affects compensation and incentive plans, internal culture and communication strategies. A study of Answering the Ultimate Question will provide organizations implementing a Net Promoter program with a comprehensive and detailed road map to avoid the pitfalls in execution. On the other hand, once mastered, the book can enable companies to implement high-impact customer loyalty programs. You’ll identify pivotal practices that make up the Net Promoter program and can be applied at the operational level.